Boris Johnson sided with Donald Trump in that every NATO member state should contribute its fair share to the alliance. LONDON (Sputnik) – UK Foreign Secretary Boris Johnson sided with US President-elect Donald Trump on Friday in that every NATO member state should contribute its fair share to the alliance. "Donald Trump has a point – it cannot be justified that one NATO member accounts for most of the defense budget," Johnson was quoted as saying at the Chatham House, a UK think-tank. 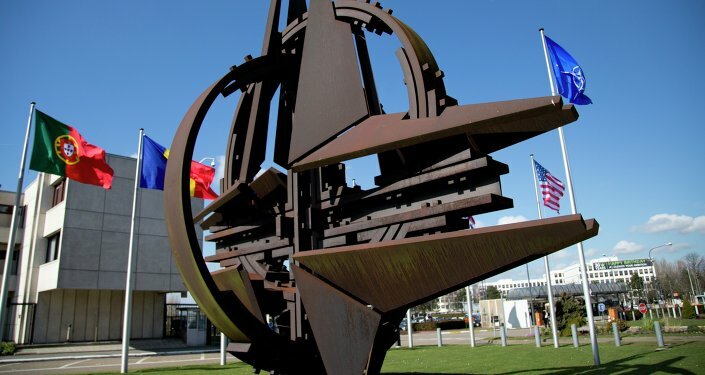 The United States is estimated to pay around 70 percent of NATO’s expenses, despite the alliance’s rules that stipulate all member nations must spend no less than 2 percent of their gross domestic product on defense. Trump criticized allies for not pulling their weight, while on his campaign trail, and threatened to withdraw the United States from what he described as an obsolete organization if they did not deliver on their obligations.